Port of San Diego, addressing conflict with California Coastal Commission, makes an adjustment to plans. Editor’s Note: This story has been corrected from its original version, printed in the Oct. 13 issue. SAN DIEGO — The Port of San Diego’s Board of Port Commissioners, at its Oct. 10 meeting, did not approve a resolution to modify the scope of Sunroad Enterprises’ proposed hotel development on the east end of Harbor Island. Commissioners instead continued the item to a future meeting. The proposed modification aims to allow Sunroad Enterprises to move forward with plans to develop a 500-room hotel or up to two additional hotels with 325 rooms, with conditions. Modifying the scope of the proposed hotel development, as proposed in the resolution, would not have constituted an approval of the project, according to port district staff. “Any project developed as a result of the amendment would require Board approval,” port district staff stated in its report to commissioners. 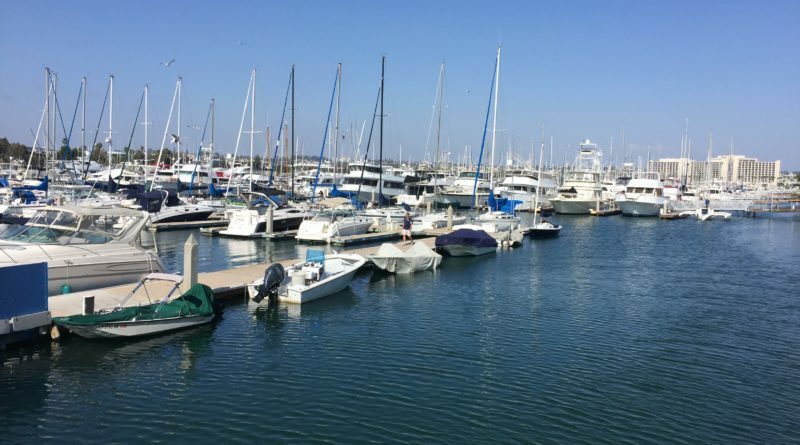 The modification proposal, which will be considered again at a future meeting, stems from an ongoing lawsuit between the Port of San Diego and California Coastal Commission. Both agencies have been at odds over plans to develop the eastern end of Harbor Island. Commissioners denied a master plan amendment request by the port district in May, stating the Sunroad hotel project, at the time, was deficient in lower-cost overnight accommodations. Plans to build a large-scale hotel development on Harbor Island, as previously reported in The Log, have been quite dynamic. Plans to build a 500-room, one-building hotel were later adjusted to potentially build multiple buildings. Sunroad, if all goes as planned with the approved resolution, would submit a preliminary project description, site plan, cost estimate and financial analysis by Dec. 28. A market demand and feasibility study would then be due to the port district by Jan. 27, 2018, followed by a March 30, 2018 deadline for additional renderings, drawings and site plans. The negotiation period between Sunroad and the port district is set to end June 29, 2018. Plans to build a large hotel project on the east end of Harbor Island would occupy a sizeable stretch of land near San Diego International Airport. The site primed for Sunroad’s redevelopment plans is or was occupied by an airport taxi staging lot, Avis, Hertz, Lockheed Martin, National Rent-A-Car and the port district’s Harbor Police Department headquarters. Port district staff had looked into redeveloping the eastern portion of Harbor Island for hotel use as early as July 2015. Oliver McMillan and Sunroad were selected to develop portions of the selected site in September 2016.